Run wild in the Surrey Hills. A rewarding yet relaxing break where all you have to focus on is the running and the great outdoors. Take a break from pounding pavement and enjoy this Area of Outstanding Natural Beauty, brimming with history, wildlife and adventure only 30 miles from London. Visit local producers - Silent Pool Gin, Norbury Blue cheese, Albury Vineyard to name a few! 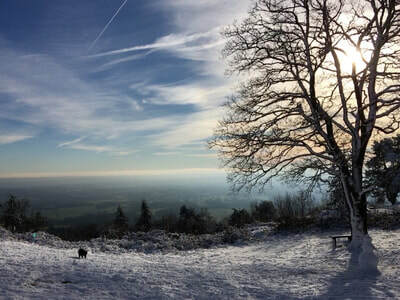 Escape to the Surrey Hills where you can take in chalk, mud, sand and rolling ups and steep downs all in one day. Don't worry there is plenty of flat too, along with lots of opportunities and take in the sights. An area where you can run through woodland and never see a soul or run along the Downs and see for miles. 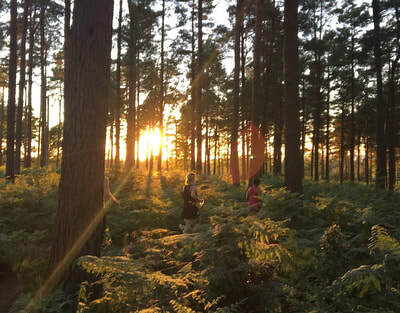 While we may only be 30 miles from London, it can feel wild as we immerse ourselves in this stunning landscape. 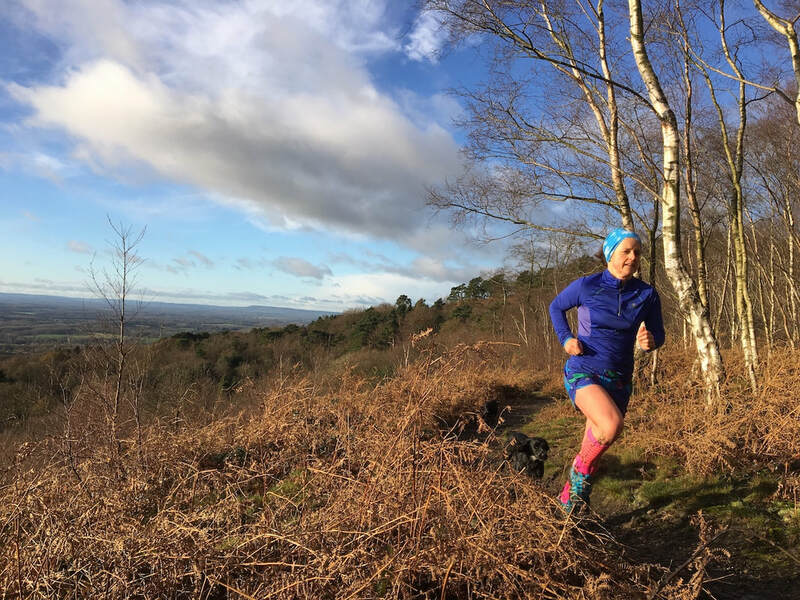 Discover hidden waterfalls, enjoy the views from the highest point in Surrey and take in some of the best trail running in the South East. On top of all this adventure, you can enjoy great coaching on running technique and everything else related that may come to mind. 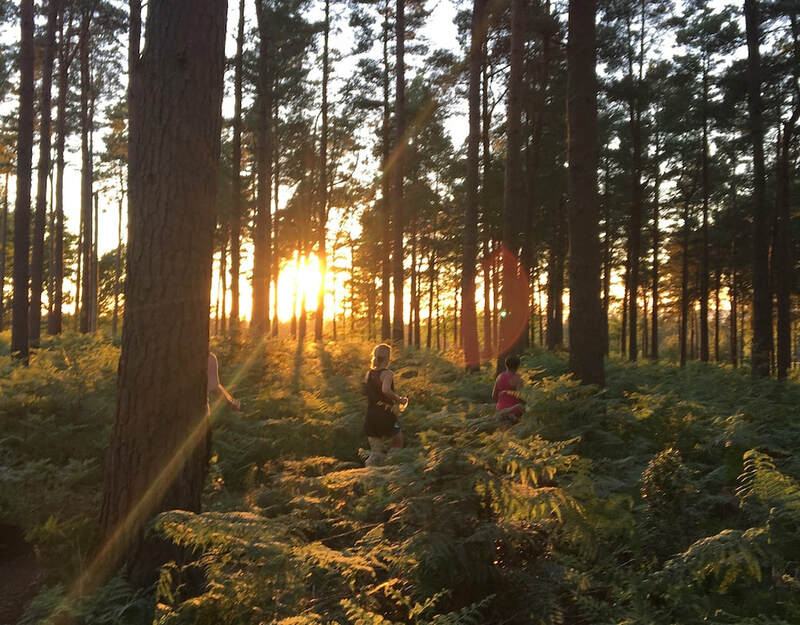 Based at The Plough Inn in Coldharbour, relax in the comfort of spacious rooms, recharge with delicious locally produced food and swap stories with fellow runners over beer and wine, much of which is made up the road. Runs will be social and go at the pace of the group rather running ourselves ragged. We will stop to take in the amazing views, eat cake or just because we feel like it.